The Felix offers a handsome exterior and 1,404 square feet of interior living space with a high ceiling. 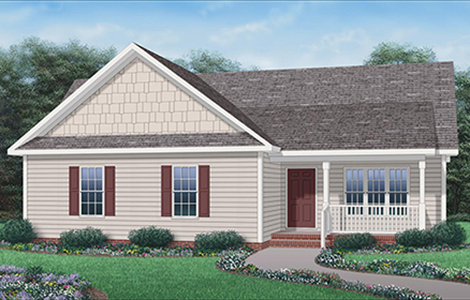 Come home to this economical four-bedroom home design that includes all these amenities for easy daily living: Wide porch shelters the front entry. Open layout of the family room, dining area, and kitchen enhances the interior spaciousness. Pantry in the kitchen. Private bath and walk-in closet for the master bedroom. 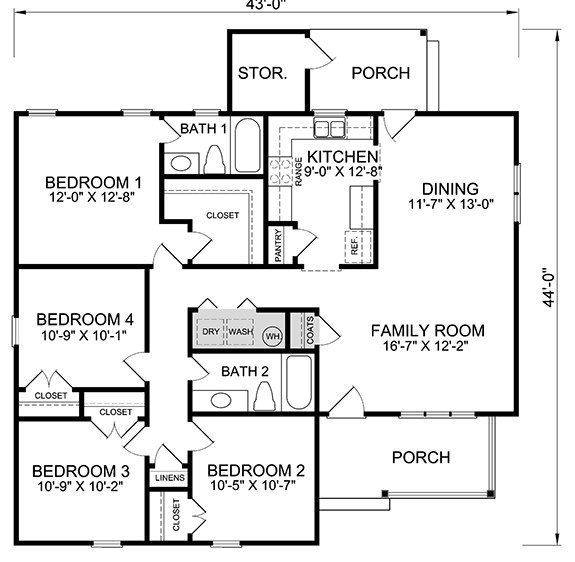 Three more bedrooms and another full bath. Washer/dryer utility closet, rear porch, and exterior storage room.